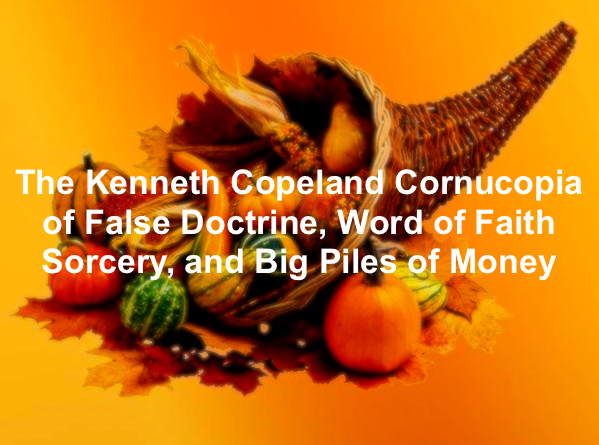 Kenneth Copeland is a Word of Faith (WOF) superstar and has been able to maintain an air of credibility for 50 years, in spite of having done and said some really crazy and heretical things in a very open format. 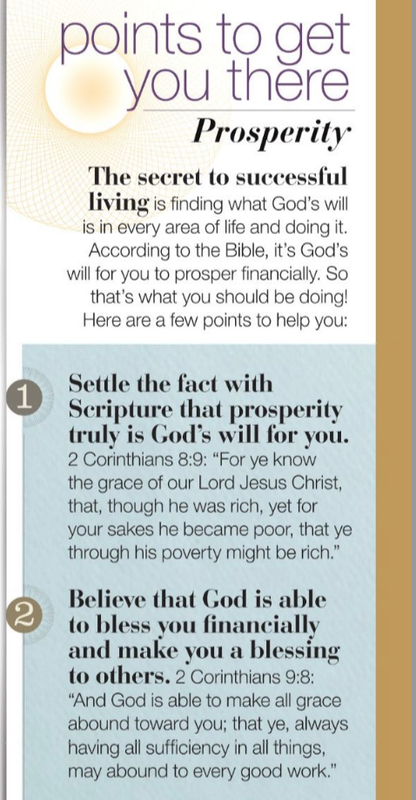 He is the king of the "Prosperity Gospel" and is proud of it. 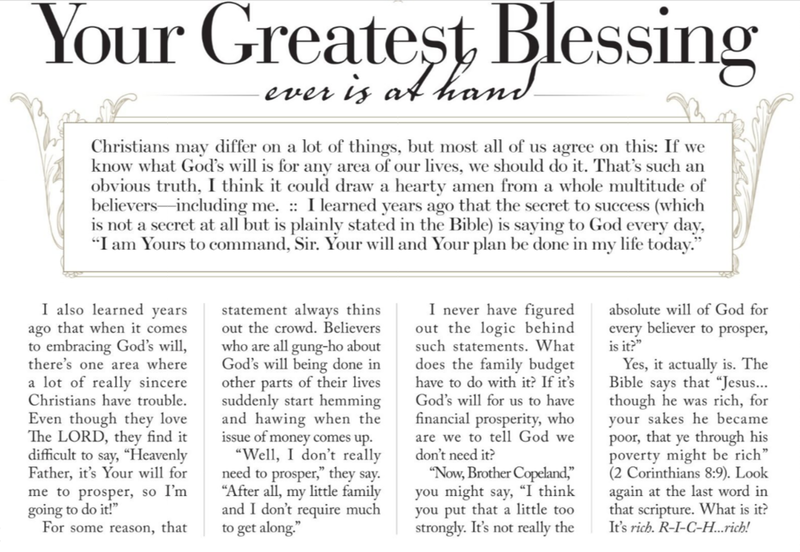 The atonement of Christ doesn't "just" give us salvation, it also guarantees healing, wholeness and prosperity. This is the Health & Wealth gospel. Jesus lived His life as an example of a man totally submitted to God the Father (or "in right relationship") and when we live in total submission we will perform like Jesus. Jesus didn't die on the cross because we were unable to atone for our own sins so much as Jesus lived a life of victory that we can (and should) emulate. 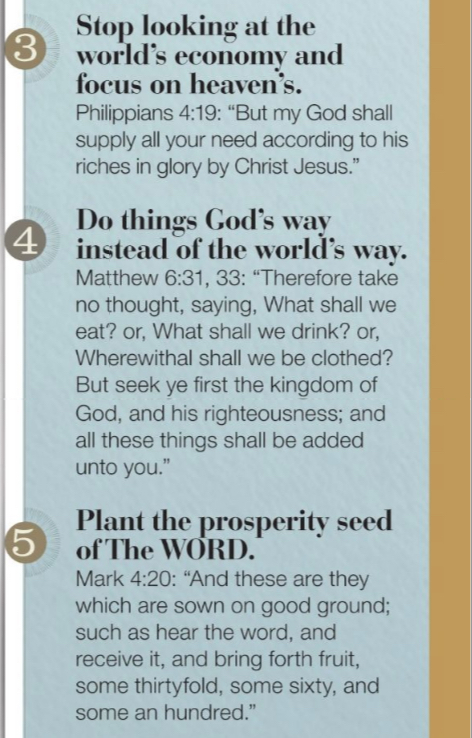 God spoke the universe into existence by using "the power of words." We, too, can create things using the power of words. (This ability to "speak things into being" is essentially a form of sorcery, but WOF people strongly disagree). God is lowered and Man is elevated. Before Bill Johnson, Brian Houston, Joel Osteen, Joyce Meyer, Todd White and most of today's WOF pastors and teachers, there was a series of people with specific new (and false) beliefs that took over a growing segment of the church. The most prominent of these people was Kenneth Hagin, who is usually considered the "father" of WOF teaching, although he actually plagiarized much of "his" teaching from E. W. Kenyon (See the book "A Different Gospel" by D. R. McConnell and the book "The Word Faith Controversy" by Robert M. Bowman Jr.). WOF people often refer to Hagin as "Dad Hagin." 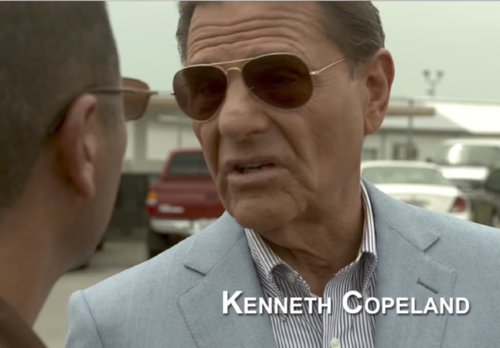 Since Hagin died in 2003, Kenneth Copeland has essentially taken over the role of senior leader of the WOF "movement" (which isn't exactly a movement because of how loosely it's organized, but it has to be called something). 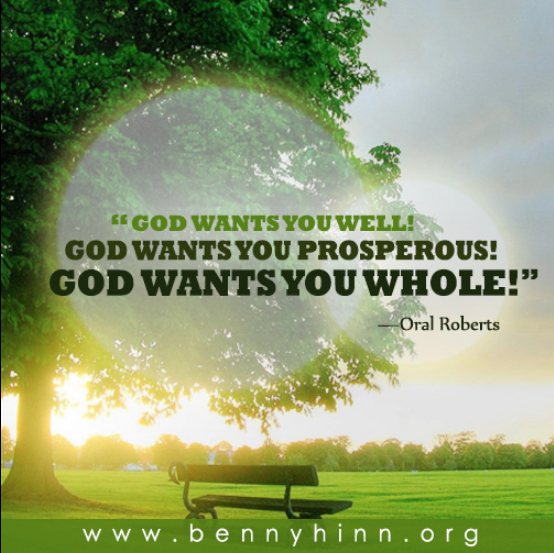 Some other prominent WOF teachers are Fred Price, Creflo Dollar, Benny Hinn, Robert Tilton, Marilyn Hickey, Rod Parsley, T. D. Jakes, Jim Bakker, John Avanzini, Pat Robertson, Morris Cerullo, Paula White, and the late Paul and Jan Crouch (founders of TBN). Not all of these people believe exactly the same things, but they share many core WOF beliefs. As a young adult, Copeland had a career as a professional pilot and, briefly, as a recording artist on Imperial Records where he had a minor hit record in 1957. 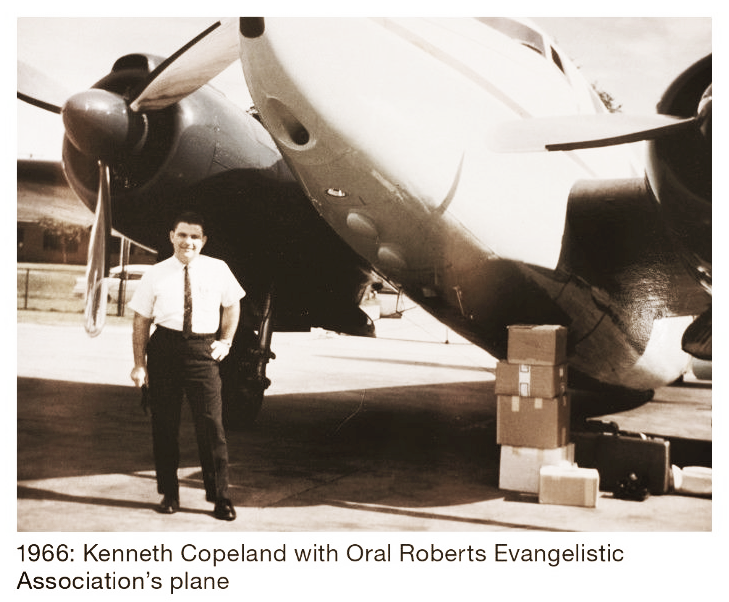 In the fall of 1967, he enrolled in the then brand new Oral Roberts University, where he soon became the pilot and chauffeur for Oral Roberts (an early WOF superstar). 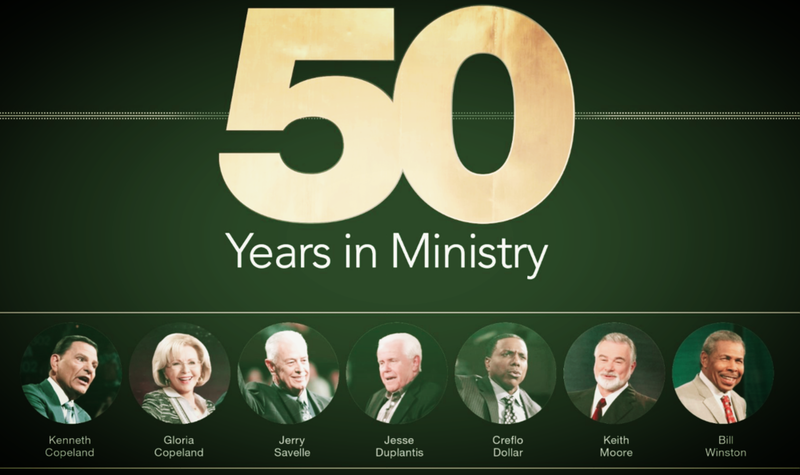 Kenneth and Gloria Copeland started their ministry (KCM) in 1967 and it's been continuing for 50 years.